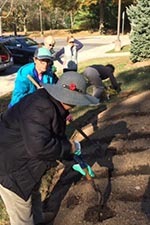 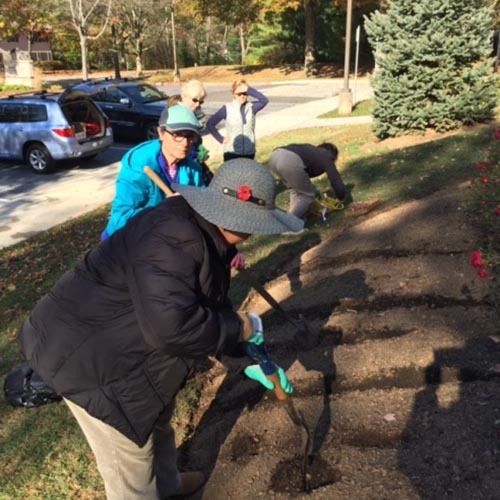 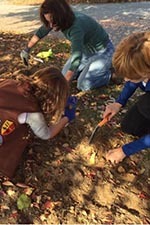 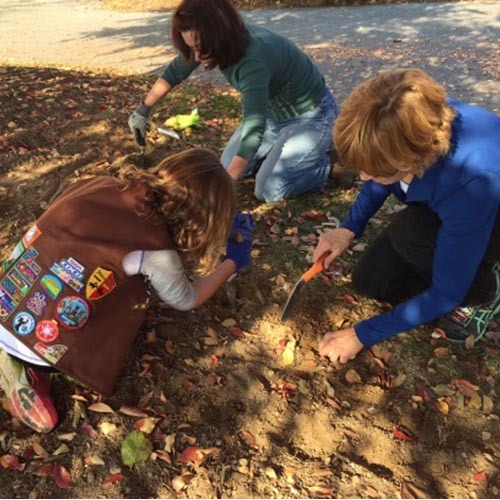 Garden Clubs, Girl Scouts and landscaping teams planted 50,000 daffodil bulbs in Columbia’s Town Center. 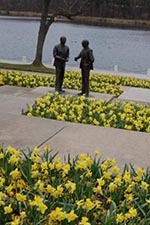 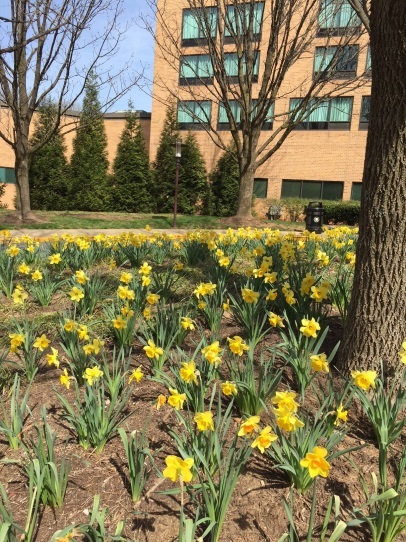 The daffodils bloom along Little Patuxent Parkway from Howard Community College to the Mall and continue to the Columbia Sheraton on Wincopin Circle. 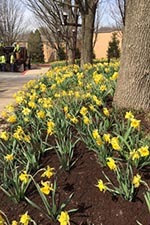 The bright yellow flowers can be seen in office planters, on median strips, in the Lakefront flower beds, and along the roadway. 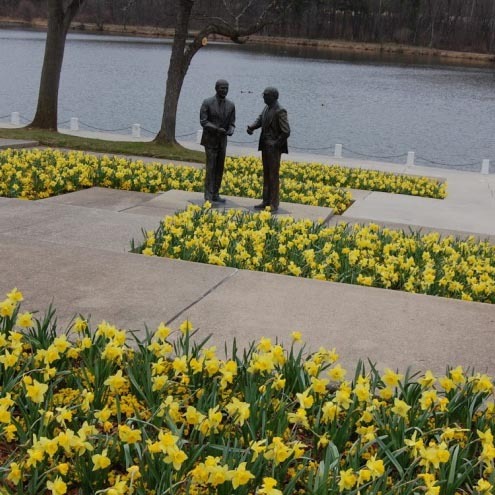 Some villages also purchased daffodils in celebration of the 50th Birthday, and can be seen near their town centers.